Imagine a medium untethered to gravity, where no wind carries the spoken word and where no magnetic field bounds writers to express thought in a particular direction. In such an environment, what would poetry be? This is the question that media artist Eduardo Kac explores in his work, Inner Telescope. This is the first work of space poetry––that is, poetry produced for creation and performance in space. It was was propelled by rocket ship to the International Space Station (ISS) and enacted by French astronaut Thomas Pesquet. 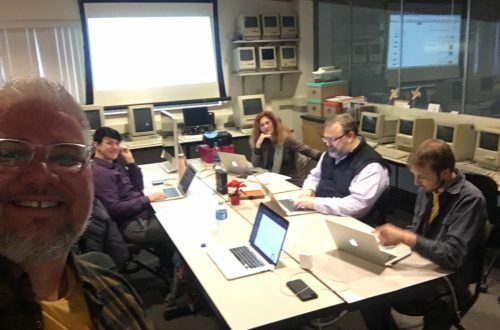 The Electronic Literature Lab is screening Kac’s video documentation of the production and performance of Inner Telescope. The video is recorded in French with English subtitles. When: Wednesday, October 3, 2018; 11:30 a.m.-12:00 p.m. This event is free and open to the WSUV community on a first come, first serve basis. For more information, contact Dene Grigar at dgrigar [at] wsu [dot] edu. Kac, Eduardo. 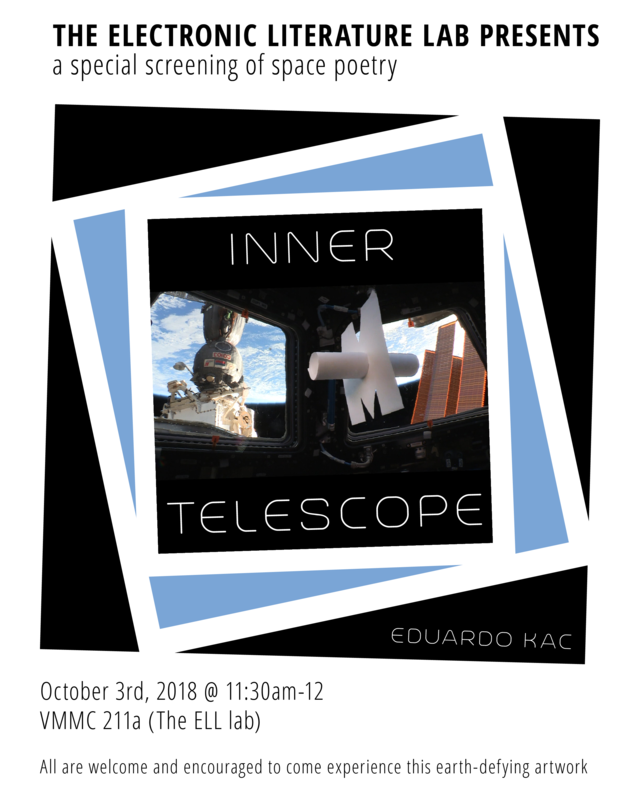 “Inner Telescope.” http://www.ekac.org/inner_telescope.html. Rose, Frank. 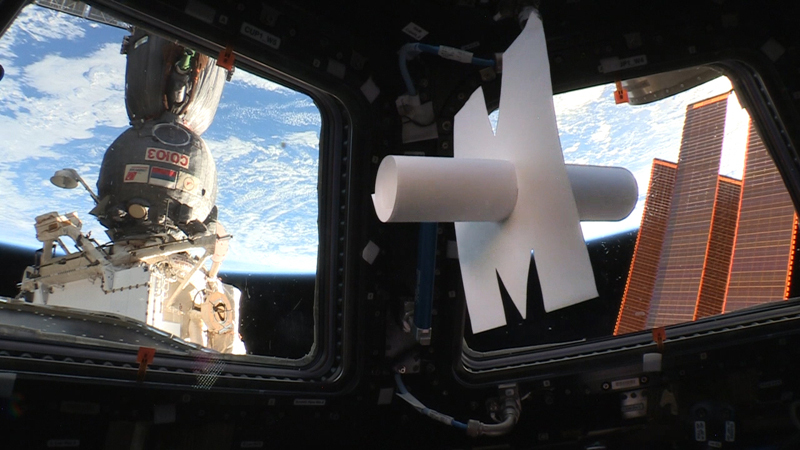 “A Space Odyssey: Making Art Up There.” New York Times. 17 March 2017. https://www.nytimes.com/2017/03/23/arts/design/eduardo-kac-inner-telescope-space.html. This event is made possible by the Lewis E. and Stella G. Buchanan Distinguished Professorship and Washington State University Vancouver. A special thank you to Eduardo Kac for permission to screen this video.